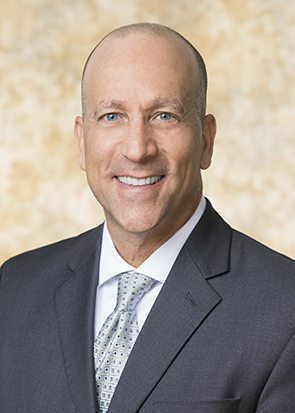 Florida Monthly Magazine, "Top Lawyers in Florida"
Jeff, a Registered Patent Attorney, serves as Counsel in the firm's IP/Cybersecurity practice group where he counsels clients in all aspects of intellectual property including patent prosecution, post grant proceedings, trademarks, copyrights and litigation. Jeff’s practice includes representing clients in all aspects of patent prosecution for various technologies including Internet and database applications, software, cloud computing, Web services, wireless telecommunications, ecommerce, mechanical-based inventions, computer networking, and medical devices. Jeff’s practice also includes preparing license agreements regarding patents, trademarks and copyrights; post grant proceedings including IPRs and inter-parties reexamination proceedings before the PTAB; comprehensive IP portfolio development and management, trademark and copyright application preparation and prosecution, litigation, and participating in trademark oppositions and intellectual property disputes. A significant portion of Jeff’s practice includes undertaking studies and drafting legal opinions regarding patent validity and infringement. Jeff also manages his clients’ large trademark portfolios including prosecution of U.S. trademark applications and coordination of foreign filings and prosecution with foreign counsel. Prior to his legal career, Jeff worked as an electrical engineer for the United States Air Force and a manager in the technology industry.